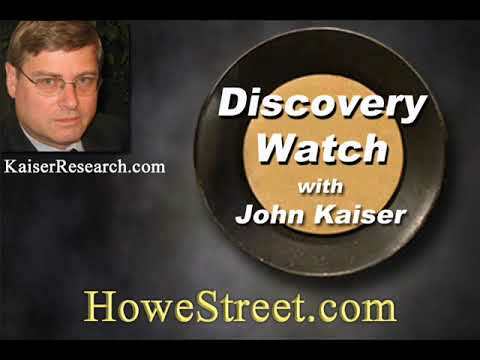 In his latest Discovery Watch episode, John Kaiser of Kaiser Research Online has mixed feelings about giant gold mergers such as the Newmont (NEM*US) - Goldcorp (G) deal announced this week. In the short-term, he sees these mega companies being less likely to help out junior explorers. However, this is not all bad. Mr. Kaiser believes standalone well-financed juniors focused on discoveries can thrive until the big companies get back to chasing juniors, likely after the real price of gold advances over the next couple of years. Large miners made a lot of acquisitions in the 2010 to 2011 gold price run-up, but now Mr. Kaiser believes they have to deal with the blowback from those deals that has materialized in the post-2011 gold bear market. Mr. Kaiser believes that Goldcorp became Bay street’s favourite place to get an exit strategy for juniors that had made significant discoveries. He also believes Goldcorp was a leader in outsourcing exploration to junior companies by often by taking 19.9% stakes in projects. I think it is unfortunate that Goldcorp is being absorbed into the Newmont culture, so there is one less major producer to support the juniors. However, there is a silver lining for junior miners. Kaiser views this mega merger trend as a temporary situation and a contrarian signal. Kaiser believes we are at the start of a sustained uptrend for gold with parallels to the late 1970s when investors were concerned that the US was “losing it” after digging out of Vietnam, dealing with OPEC and Iran while watching Russia move into Afghanistan. He thinks we are at a similar stage now. This time, Mr. Kaiser believes the potential audience for gold is substantially bigger than it has historically been. He characterizes gold bugs of the past as typically railing against fiat currency and hyperinflation threats due to irresponsible big government socialists. Now we have a big government non-socialist in charge and the gold bugs have become as noisy as crickets in the dead of winter because it’s their man who is now in there and even though all the problems are still the same, now it doesn’t bother them anymore. Gold no longer is the province of a small group of people, ideologically defined; it’s now actually possible for a much broader audience spanning the entire economic and political spectrum to embrace gold because what we are watching is the disintegration of a social order that the United States has cultivated since the end of World War Two. You will see start seeing more and more money go into gold, and those who do own gold, they will start to think why should I sell now I’ve held it this long. That will build a real uptrend. Mr. Kaiser suggests it will be at least two years before there is government reset in the United States. We have two years of slow-motion implosion with everybody getting angrier and then gold becoming a natural way for people to sooth the fear that everything is falling apart. What you’ll start seeing is that as the institutions start to come back to the gold market, you’ll see these big merged companies give back smaller assets. Bay Street will repackage these assets with financings, a situation seen in the 2003 to 2006 period. That didn’t help existing juniors and we are facing a similar situation now. Consequently, Mr. Kaiser believes the focus over the next year or two should be more on discovery exploration juniors. They have a 30,000-metre drill program and it doesn’t matter what Newmont Goldcorp does with Red Lake or thinks about its neighbourhood over the next year because this will evolve and hopefully become at least a couple of million ounces, maybe ultimately more, to be a complete standalone. Mr. Kaiser appears to be describing what a successful junior explorer will look like, at least over the next few years. 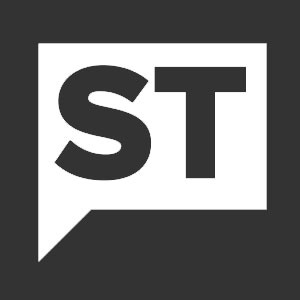 He believes, if an exploration company is well financed, it will not matter that the big companies are going through this process of consolidation. We would note that on September 11th, Great Bear closed a private placement for $10 million. This was followed by a $3.5 million private placement of flow-through shares closed on November 14th. Further down the road, Mr. Kaiser is more broadly optimistic. He expects gold will outpace inflation, trending towards $2,000. If he is correct, mining margins should improve and that will get large companies interested in juniors again as multi-million-ounce resources sitting in the ground become more valuable in real terms. In the second half of the broadcast, Mr. Kaiser made the case for two juniors he likes. Despite being given the cold shoulder in December by Barrick Gold, Mr. Kaiser has ATAC Resources as one of 19 favourites listed at Kaiser Research Online. In explaining why he likes it, Mr. Kaiser reviews the exploration history of the Yukon-focused company which he reports once had a market value of about $1 billion earlier in the decade. Based on what they found in the past, Mr. Kaiser is cheering that management is again focusing on the Rau project. Mr. Kaiser also highlights PJX Resources (PJX) which is focused in Southeast British Columbia. According to Mr. Kaiser, a high stakes drill program is set to start this month which should generate attention. He will be watching to see if the company is able to get lucky and score a silver-zinc-lead silver discovery. Both ATAC Resources and PJX Resources will be part of Mr. Kaiser’s session at the Vancouver Metals Investor form this Saturday morning.